A little planning can go a long way. 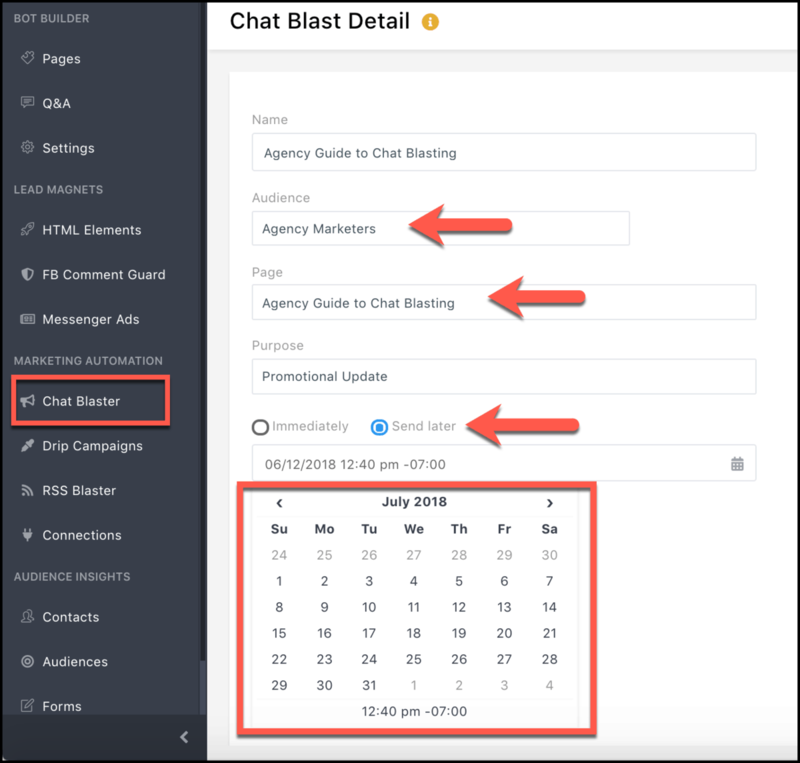 Schedule your chat blasts for ideal open and engagement rates. Scheduled chat blasts are like scheduled email blasts with one key difference. Marketers can send campaigns at a scheduled time in the future. Just pick a time for the blast and MobileMonkey launches the campaign to your audience based on the sender’s time zone. 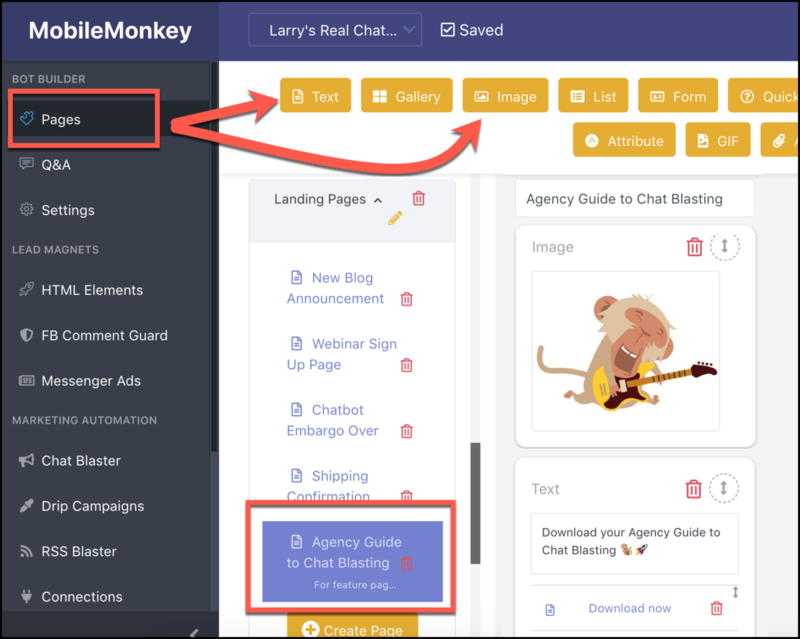 You can schedule a blast of any chat page you’ve built to any audience segment you’ve created with the easy, visual chat blaster. Step 1: Create the page you want to blast with drag-and-drop widgets in the chatbot builder. Step 2: Create the audience segment you want to blast to from any variable in your Facebook Messenger contacts. 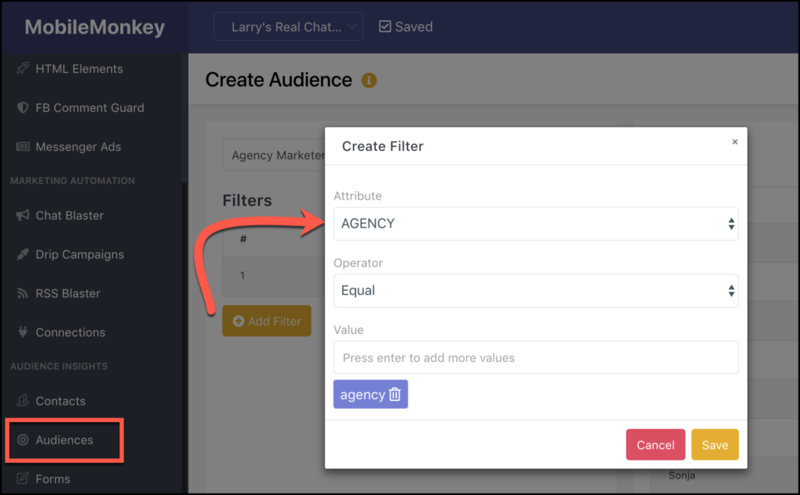 You can create an audience segment from any attribute — when they subscribed, where they’re located, and custom variables you’ve created. This lets you serve content tailored to what customers are looking for. Step 3: Create the Messenger chat blast, selecting the chat page and the audience. Send immediately OR schedule in advance! To schedule a blast, pick the date and time from the calendar! You’ll deliver content at the time of day and day of week planned for optimal engagement. And just like that, 10x your blast open rate compared to email marketing! Bulk-send interactive content and engaging offers to custom audience lists in Facebook Messenger and plan your campaigns in advance! for MobileMonkey Pro and Team Users!